Our integrated approach to research offers unique opportunities to address grand challenges. The College of Petroleum Engineering & Geosciences, or CPG, offers a combination of three things that cannot be matched by any other college in the world: integration, industry access and legacy. It’s a place where people can learn, study and work together to advance the sustained delivery of reliable energy, with minimum impact on the environment. 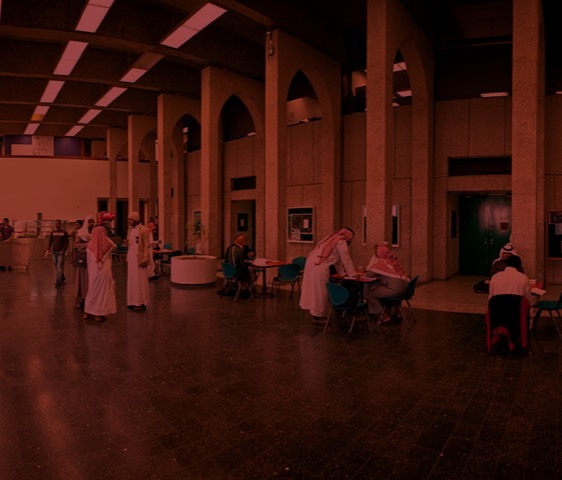 Alfahd HPC (High Performance Computing) is Live !! Discover more about CPG thrilling new course, the Summer Camp. 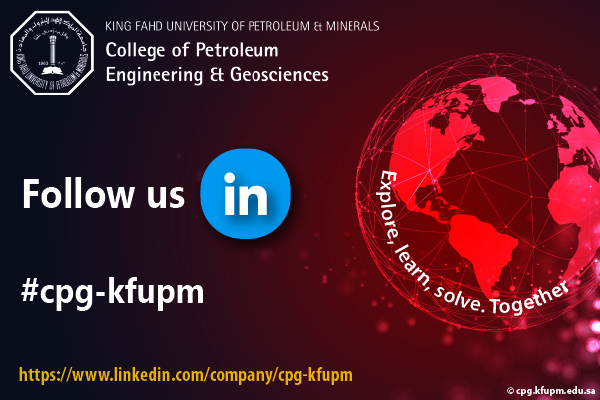 This is an exciting time to join CPG, as we realize our aim of becoming a world leader in Petroleum Engineering and Geosciences. CPG’s extraordinary campus facilities and ideal location ensures fulfilling work and life experiences for staff and faculty. Our research is undertaken with industry leading partners to solve high-impact, real-world problems. Our exclusive approach has been to create the CPG ecosystem, an integration of Petroleum Engineering & Geosciences with industry access. CPG’s vision is to be the global leader in the integration of geosciences and petroleum engineering education and research for undergraduate and graduate levels.